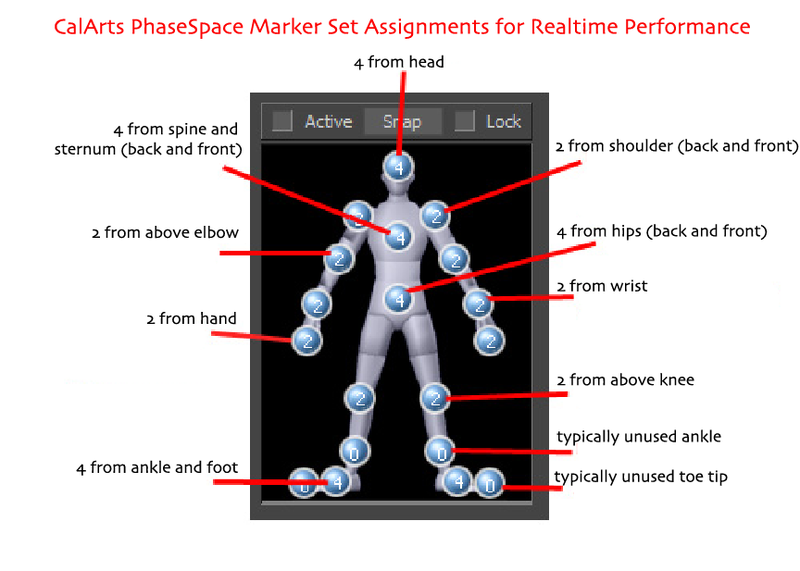 Unique Medium Suit Marker Placement and MotionBuilder Rigid Body Assignments for RT. Our Medium Suit shipped with a non-standard inverted string configuration. Note the superscript numbers for the strings in the marker diagram above. The following list indicates how the Medium Suit profile should be created. 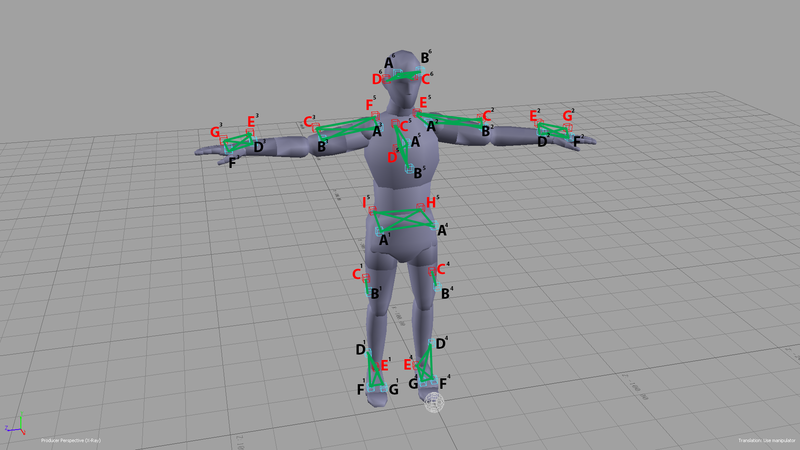 A MotionBuilder 2013 help page on HIK (Human Inverse Kinematics) Character Structure. For the insatiably curious: A link to the original PhaseSpace patent.